“To understand the world you have to understand a place like Mississippi,” William Faulkner famously said. His words came to mind late last month as student leaders at the University of Mississippi won their battle to have the state flag, which features a Confederate Battle Flag emblem, removed from the campus flagpole. University students in Oxford are showing more courage than many of their elders and offer an inspiring cause for optimism about the state’s future. Their move comes as the state of Mississippi remains the only state in the U.S. that flies this slavery-era symbol. Mississippi has been a final battle ground on many issues, but Faulkner was right that it is a microcosm for the country. The state is the great test case for democratic leadership because it is so thoroughly divided, on the basis of race, wealth, education, and respect for state versus federal government. Mississippi leaders have long repeated the mantra that lower taxes and less regulation of business foster economic growth. While the state has long had some of the lowest taxes and regulation, however, it is mired in deep poverty. The divisions in Mississippi motivated resistance to integration, which prompted the creation of countless private white academies. Many of them are not particularly good schools, but they are certainly wealthier than, and separate from, public schools. The enduring racial disunity in the state leads to underfunding of public schools and apathy over the tragic resulting failures of so many of them. In 2011, it was reported that 44 percent of the state’s public k-12 schools were in at-risk or failing categories, many labelled “dropout factories.” One district in 2007 reported a retention rate of less than 32 percent of its student body from freshmen through senior year. Cause for optimism it is to be found in the state’s young people, however. The younger generation in Mississippi today is fed up with being so often in or around 50th place. Republicans and Democrats in their youth have strong words for recalcitrant state leaders. This week’s vote in the student body Senate in Oxford is a shining example. 33 of 49 Senators voted to take down the state flag and to call state leadership to choose a new flag that fosters unity. Since that vote, Mississippi Governor Phil Bryant has said that “college students react a lot emotionally,” dismissing the relevance of student voices. Anyone who has attended a football game knows the importance of spirit. A team must be animated and have passion, but not just any form of it. Plato thought that spirit must be guided by wisdom, moderation, and justice. When it is, it takes the form of courage. The students at the University of Mississippi offered rich reasons for what they believe to be right. Their courage was tested, given the small but angry minority of friends and family who may lash out at them. They acted also knowing that members of the Klan and of the League of the South stood nearby on campus over the past few days. The students were indeed emotional, expressing fear that our institution will make the wrong choice. Courage is not the absence of fear, Plato explained, but fearing the right things and not the wrong things. The Governor is right, therefore, to say that students exhibited emotion, but he was in error if he believed those emotions lack the guidance of wisdom. It is true that the removal of a flag will not in itself redress the many larger injustices that persist. What it will do, however, is contribute to the reshaping of a culture, declaring the need to end white supremacy and to begin genuine healing and unification. A new generation is maturing and rising into positions of leadership in a state whose stock is often undervalued. As southern states make moral progress, people see the potential of investing in or moving their businesses here, like Google’s planned $600 million facility in Alabama. The prospects for progress are great in large part due to the courage of bright young people ready for change. If there ever were a perfect illustration of the power of liberal arts education or of fields like philosophy, we had it this October. Students stood up to protests by the Klan and the League of the South. They spoke out, evoking moral arguments about the values of democratic education, equal citizenship, and the power of symbols to enable or impede a culture of justice. They offered powerful reason for hope about the pursuit of a more just and unified Mississippi, and consequently a more moderate and progressive United States. 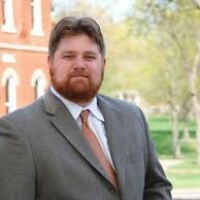 Dr. Eric Thomas Weber is associate professor of Public Policy Leadership at the University of Mississippi and author of Uniting Mississippi: Democracy and Leadership in the South (2015). He is representing only his own point of view.